Our contemporary composite doors do an incredible job of standing out from the competition, offering homeowners significant improvements in performance. This extends to security, sound and thermal insulation and weather resistance. However, thanks to their glass reinforced plastic (GRP) skin and fine hardware, they look fantastic too. The exterior of our modern composite doors has been developed from oak tree woodgrain, allowing a stunning timber aesthetic to be achieved. The glass and hardware options have also been carefully selected so that a truly sophisticated appearance is fully adhered to. Here at T&K, we understand that keeping your home warm is as important as keeping it safe, so we’ve ensured that our contemporary doors excel in both aspects; thanks to an ultra-dense foam core, they’re 17% more efficient than solid timber core and panelled doors. And thanks to their superb locking systems, they ensure your home is expertly protected from intruders. Achieving an energy rating of A, they’ll retain an exceptional amount of heat in your home. PAS24 and Secured by Design accredited, our contemporary composite doors offer your home a staggering amount of protection. Our contemporary composite doors come with a 25 year structural warranty, emphasising the level of quality that’s on offer. 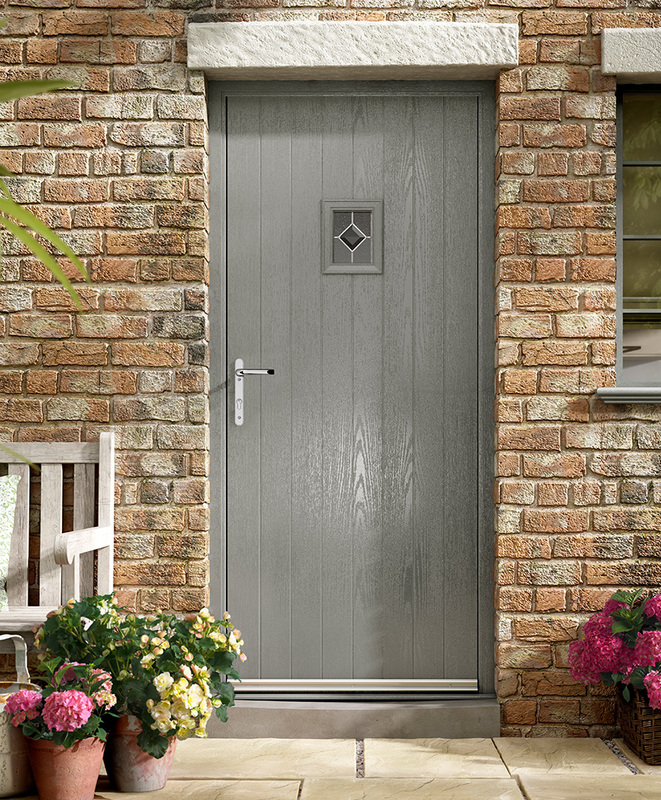 Our composite doors are constructed from a combination of materials, including a glass reinforced plastic (GRP) skin and an ultra-dense foam core. This ensures for incredible levels of performance. However, T&K also supplies traditionally styled variants, as well as uPVC, aluminium and timber entrance doors. The furniture on our composite doors can be customised with a range of colours, including handles, letterplates, knockers and rain deflectors. Regardless of your chosen colour, the quality of finish is nothing short of exquisite.